Vietnam’s version of “The Bachelor” recently captured a special moment which has never been seen in other iterations of the popular relationship reality show. Making franchise history, “The Bachelor Vietnam” is the first version which had one contestant attempted to convince another to leave the show together on national TV. While the scene shown on local television was a slightly watered down version, an uncut web version exists and shows the entire special moment. 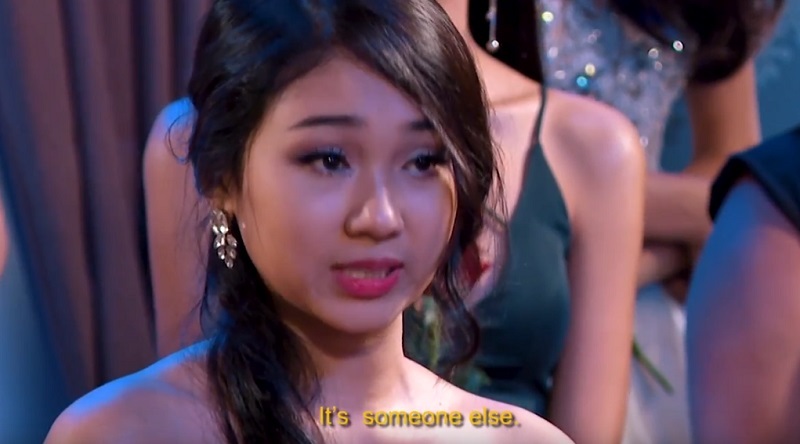 In the clip, Minh Thu, a contestant who did not receive a rose (which meant she will be exiting the show), professed her feelings in front of the cameras. “I went into this competition to find love and I’ve found that love for myself, BUT it isn’t with you. It’s with someone else,” she said. Truc Nhu, who already received a rose from the bachelor named Nguyen Quoc Trung earlier, returned the emotional embrace while all the other contestants began tearing up. While the two women walked out of the rose ceremony together, Truc Nhu ended up deciding to stay in the show after Quoc Trung had a heart-to-heart with her. According to the show-runners, there has never been anything like this happening on-air in the history of the franchise, which covers 100 different seasons in over 30 different countries.